So, here are my answers to Nancy’s ten random questions about cancer. I was diagnosed with stage I breast cancer in 1993, when I was only 35 years old. Many people assume that, because of my young age at diagnosis, there must be a family history of breast cancer. But actually, there is no history of breast cancer in my family and I carry no cancer-related genetic mutations. In fact, an estimated 90% of breast cancer cases are not related to any inherited mutation. The notion of being “celebrated as a survivor” has always seemed to me incredibly misplaced. Even in the beginning, after I had just completed treatment, I remember feeling that if I was doing well it was due to a combination of having received excellent care as well as some luck. It certainly wasn’t due to any heroic effort on my part. 3. What is your biggest cancer pet peeve? My biggest cancer pet peeve is our culture’s tendency to treat cancer as somehow an individual’s responsibility. If someone gets cancer, it must be because of their bad “lifestyle” habits, and they are expected to “beat” cancer through force of will and a positive attitude. This focus draws attention away from what we need to do as a society to seriously reduce deaths from these diseases, including gaining a better understanding of how environmental factors contribute to cancer risk and coordinating and properly funding research efforts. I want others to know that in the United States alone we are still losing over 40,000 women and men each year to breast cancer. Although some progress in has been made in improving treatments, it is not nearly enough. Scientists have made tremendous advances in understanding the disease at the molecular level, but translating that knowledge to effective treatments and prevention methods lags far behind. 5. If applicable, do you worry about recurrence rarely, from time to time, or a lot? I rarely worry about recurrence these days. Instead, I make taking care of my physical and mental health a priority. 6. Do you feel cancer has made you a better person? If you do, specifically in what way? No, I do not feel that cancer has made me a better person. I do feel that we learn from our life experiences, both the good and the bad, and often especially those that are traumatic. But in my view there is no reason to single out a cancer experience as somehow more of a growth opportunity than any other challenging life experience. My overall favorite is The Emperor of All Maladies by Siddhartha Mukherjee. Two others that I’ve reviewed and highly recommend are The Truth in Small Doses by Clifton Leaf and Breasts: A Natural and Unnatural History by Florence Williams. When I was going through treatment, I found talking with others who had had similar experiences to be especially helpful. Besides being a source of practical information, talking with others who “had been in my shoes” helped me to see that I was not alone. I also have wonderful friends who were very supportive. 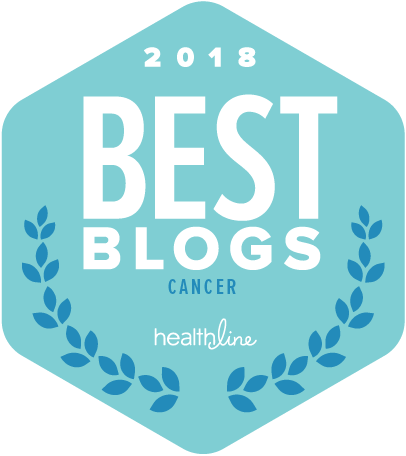 I read lots of cancer blogs. Since I started my blog about four years ago, I’ve found that connecting with other bloggers, blog readers and advocates online has helped keep me inspired and moving forward with my own blogging. Yes. I’ve been involved for many years with breast cancer organizations, including groups that provide support to patients and others that advocate for research funding and ensuring access to quality care for all. I also continue to serve as a patient advocate reviewer evaluating research proposals for government funding. Starting this blog seemed a natural way to leverage what I was learning in my other advocacy activities. What drives me is the memory of those we have lost to breast cancer and other cancers, as well as realizing that we can do better and that, working together, many lives can be saved. Thank you for participating in my blogging challenge and for all you do to help keep our community informed about the latest research developments. Thanks for being you! I enjoyed answering the questions! Thank you for putting together another great blogging challenge! Lisa, I love your blog, and this blogging challenge post was a great one! I agree that having cancer does not make one a better person. Thank you for such a great post. Hi Lisa, I really enjoyed learning more about your experience. Like you, I was in my early thirties when I was diagnosed with BC, and there was no history of the disease in my family. Your blog is a wonderful source of evidence-based information and advice. Thank you for all your great advocacy work.